Master Bilt VOAM36-79 Stainless Steel 79" Vertical Air Curtain Merchandiser - 20.8 Cu. Ft. 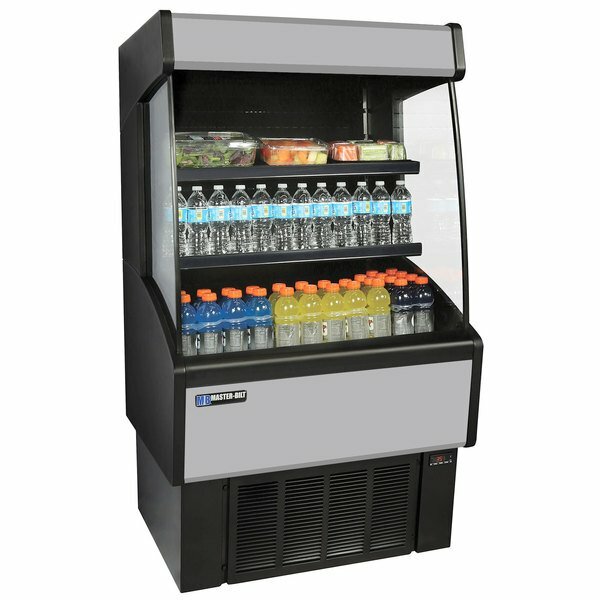 Provide easy access to popular items like soda, juice, pre-packaged sandwiches, and more with the Master Bilt VOAM36-79 stainless steel vertical air curtain merchandiser. The unit's vertical orientation and two-tier shelving design with integrated price tag molding allow for maximum storage and efficiency, while the contemporary styling and LED lighted canopy provide an attractive product showcase. 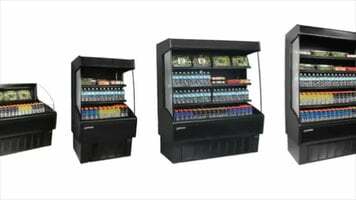 The Master Bilt VOAM36-79 vertical air curtain merchandiser requires a 115V electrical connection.